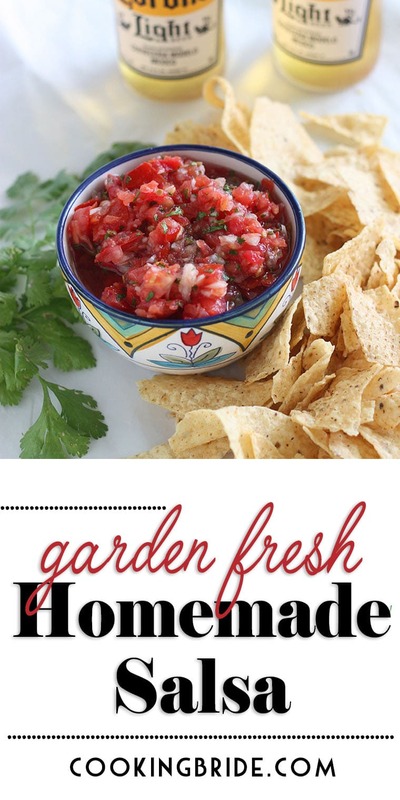 Fresh roma tomatoes, onions, jalapenos, and cilantro burst with flavor in this garden fresh salsa recipe. You’ll never eat store bought again. I like to think of myself as a gardener. I’ve planted an herb garden every summer for three years with decent results. I have mint for my mojitos, basil for my pesto, and a three-year-old rosemary plant that is starting to look more like a small tree. Lo and behold, a few weeks ago a cucumber began to take shape. And out of my nine bell pepper plants, one has actually started to produce. The Husband and I were actually able to harvest enough cherry tomatoes to make a nice shish kebab last weekend. And finally, two homegrown roma tomatoes and a jalapeno pepper went into the making of this garden fresh salsa. I highly recommend getting your hands on a mini chopper or food processor. You’ll have homemade salsa in no time. Otherwise, you’ll be chopping for awhile. If you don’t have the kitchen space or the budget to spring for a full-sized food processor, don’t sweat it. I actually make this salsa using this exact mini food processor. You’ll have to chop everything in batches, but it’s still waaay faster than chopping by hand. Roma tomatoes work best for this recipe because they have less juice. But I’ve made this recipe plenty of times using regular tomatoes. You just might want to remove all the seeds first to help cut down on the amount of water in your salsa. You’ll need seven roma tomatoes or 3-4 good sized regular tomatoes. You’ll also need half a white onion, 2 cloves of peeled garlic and a jalapeno pepper halved and the seeds removed. I’m a wimp when it comes to spicy food. I find one jalapeno provides just enough heat without making me uncomfortable. However, if you prefer more heat, feel free to add additional jalapenos to your liking. You’ll also need white sugar, vinegar a little salt and a small bunch of fresh cilantro leaves. Throw everything in a food processor and pulse until your salsa reaches your preferred consistency. We like to leave our salsa just a little chunky. 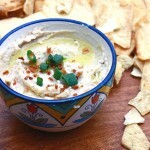 Serve with your favorite tortilla chips and a couple of cold beers, if desired. 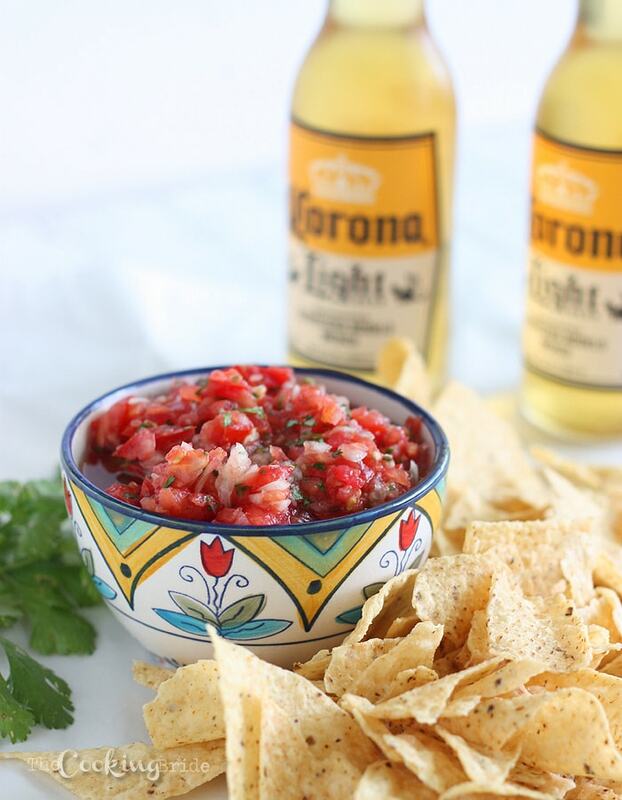 This fresh salsa recipe will keep in the refrigerator for several days. However, if you like to can food, I have had great success with canning this recipe. Because of the extra acid in the salsa from the vinegar, you can process these using the water bath canning method. Ladle the salsa into clean jars leaving 1/2 inch headspace. Use a spoon to remove air bubbles. Wipe rim. Center a hot lid on each jar. Apply band and adjust until fit is fingertip tight. Process the filled jars in a boiling water canner for 15 minute. If you live in a higher altitude, you may need to adjusting the time. Remove jars and let cool. Check lids for seal after 24 hours. 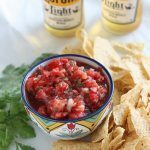 Fresh roma tomatoes, onions, jalapenos, and cilantro burst with flavor in this garden fresh salsa recipe. You'll never eat store bought again. Put all ingredients into the bowl of a food processor. Pulse until salsa reaches desired consistency (we like ours chunky). Add additional salt as needed to taste. Makes about 1 1/2 to 2 cups of salsa. 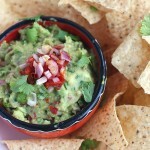 *If you prefer a milder salsa, remove the seeds and membrane from the jalapeno before tossing into the food processor. I’ve been craving homemade salsa all week. This looks great! I don’t have much of a green thumb either but my parents used to plant tomatoes and zucchini every year. Nothing beats a tomato from the garden with just a little salt. The lovely dishes of the summer. And the pesto keeps in the freezer (as well as fresh basil and sweet peppers) so the fresh keeps giving. Its like you knew exactly what I’ve been craving! I can’t wait to try it out this weekend. I just started gardening from this summer in m patio. Still struggling but the rosemary and basil are looking good so far 🙂 This salsa looks so perfect for my chips! I WISH I had a garden at all, let alone a successful one! And zucchini flowers are awesome. I would kill for those as well. 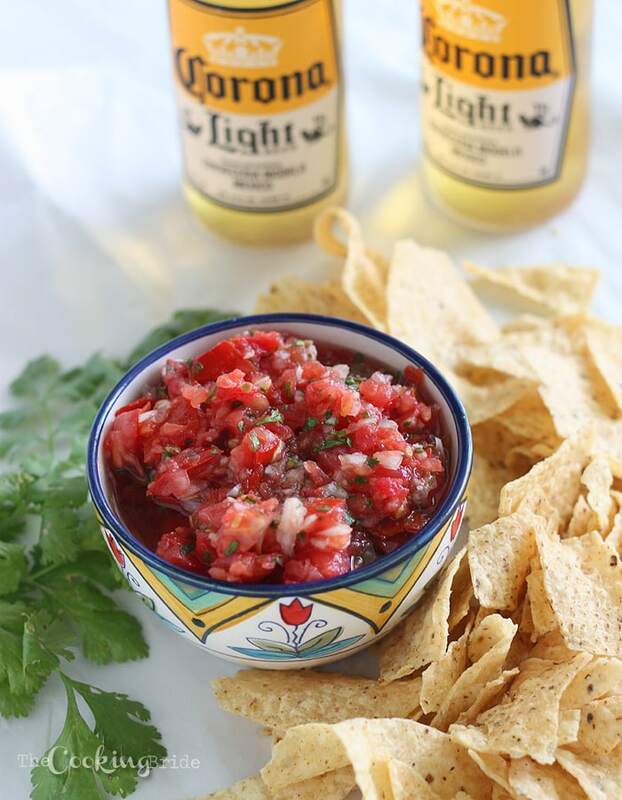 This salsa must be off the wall good with those homegrown tomatoes! I love using my fresh tomatoes! Yummy! I could eat all of that now… right now. I will try to talk the hubby into the idea of making this soon. Hi Danna, the recipe says it makes 1 1/2 – 2 cups and serves four people. That would be about 1/2 cup of salsa per person.